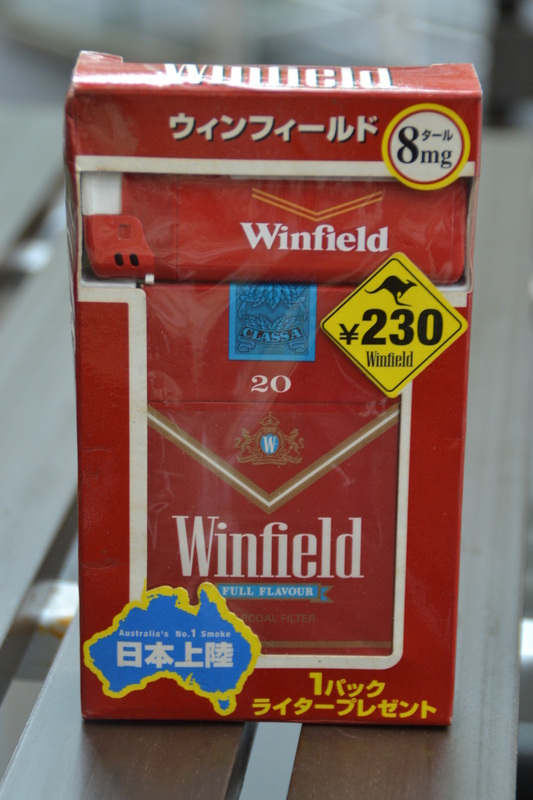 A long, long time ago, in a Straya far, far away, Australia briefly exported cigarettes to Japan. It wasn’t that long ago, actually. But for several months in 1994, Winfield cigarettes, one of Australia’s most famous brands (it marketed itself as “Australia’s No. 1 brand” in Japan, but it was actually only the second-biggest seller Down Under, behind Peter Jackson), was an unlikely competitor of mostly British and American Big Tobacco companies to tap into what was still then a thriving Japanese smokers’ market largely unregulated at the time. Winfield was on a downturn at the time in its home country. 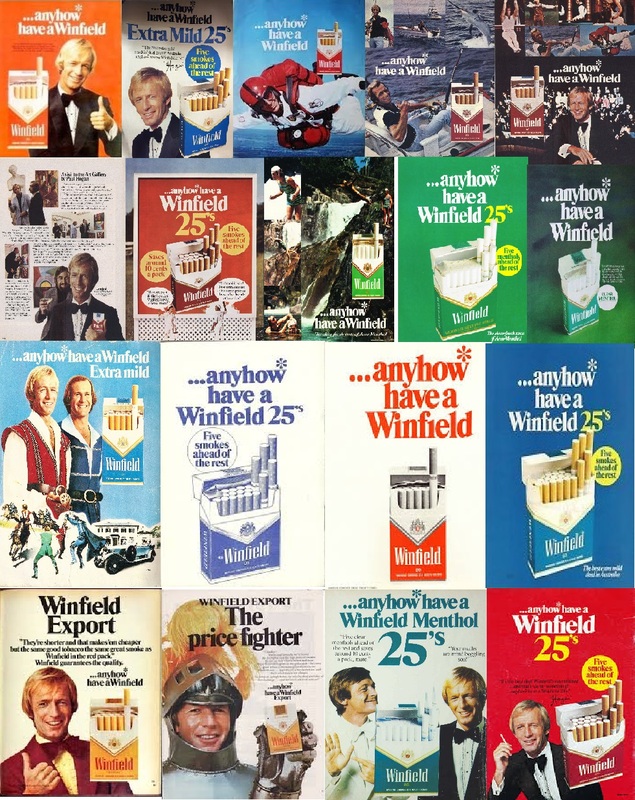 Cigarette advertising had been banned from TV and print media decades earlier, but by the mid-1990s in Australia had also been outlawed from outdoor displays and sporting events that tobacco company sponsorship had largely kept afloat. 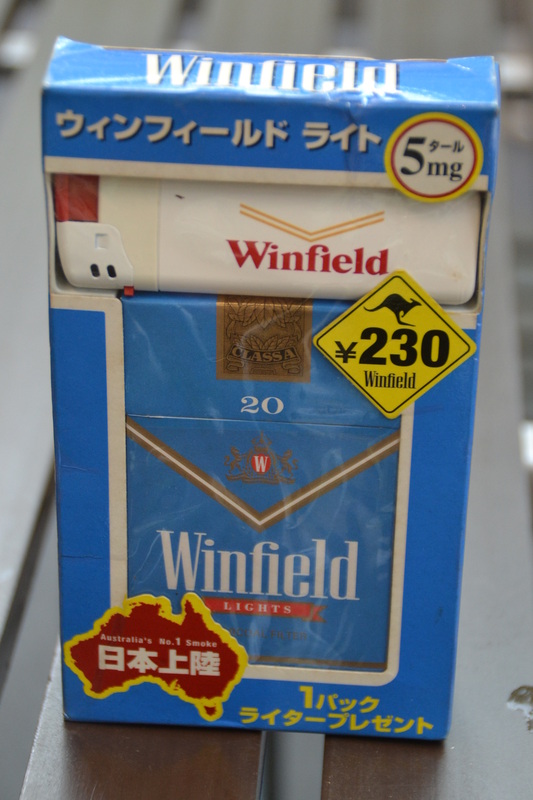 Like many Western companies faced with growing anti-smoking sentiment at the time, the owners of the Winfield brand decided to flog their fags off to Asians. It didn’t work too well in Japan. 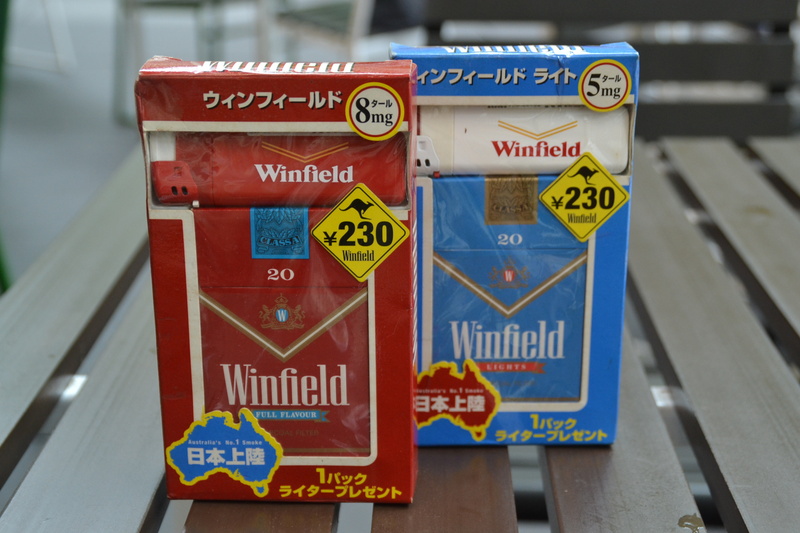 Japanese Winnie Reds and Winnie Blues could be found in the country’s ciggie vending machines (then ubiquitous, now becoming rarer) over what was a record-breaking hot summer and autumn, but were mostly gone by the Christmas of that year. Winfield owed its chance overseas to many factors, at least one of which was the role played by Paul Hogan, a sometime comedian better-known to international audiences as the star of the Crocodile Dundee film series. Hoges had been the face of Winfield when it first came out in the 1970s and he was beginning his ascent toward becoming one of Australia’s best-known stars. He became synonymous with the brand even as its presence was being limited, but his famous catch copy of “…anyhow* have a Winfield,” entered the lexicon of ordinary Aussies. …anyhow*, Australia outlawed packaging displays on cigarettes from 2012. Although punters could still ask for their different types of Winnies, which had been branded according to colors such as Red and Blue, the packaging was no longer actually red, blue or any other color. Even Hoges, whose rise to fame was at least partly inspired by a sharp set of movie theater and print ads he’d made for Winfield in the 1970s, came out a few years ago to say that he deeply regretted the commercials for having inspired so many people to pick up a durry.